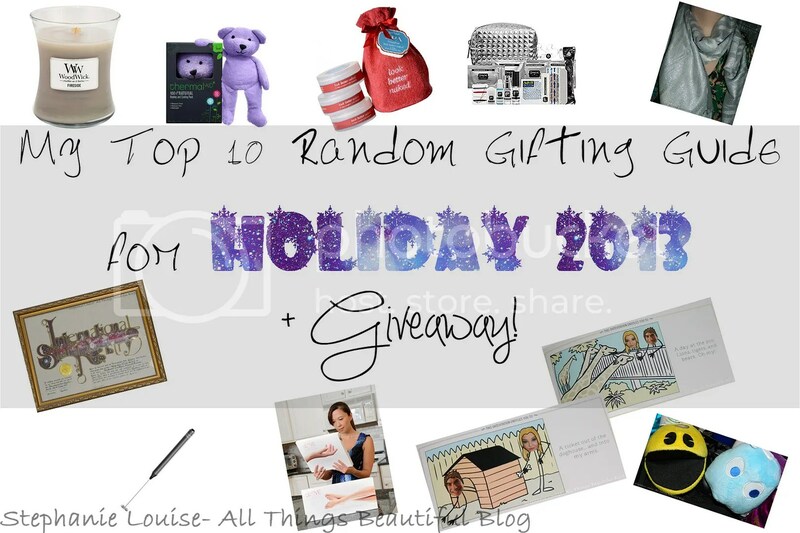 My Top 10 Random Gifting Guide for Holiday 2013 + Giveaway! When it comes to the holidays you should always have backups. Never run out of flour. Never run out of wrapping paper. & never be caught without a gift. Has anyone else had that happen? I did & I was mortified. Some nice person thought of me & bought me a gift & I had nothing. Obviously that stuff with me because now I have a bit of a gifting stash for just such occasions! Keep reading to see the 10 items on my list this year! 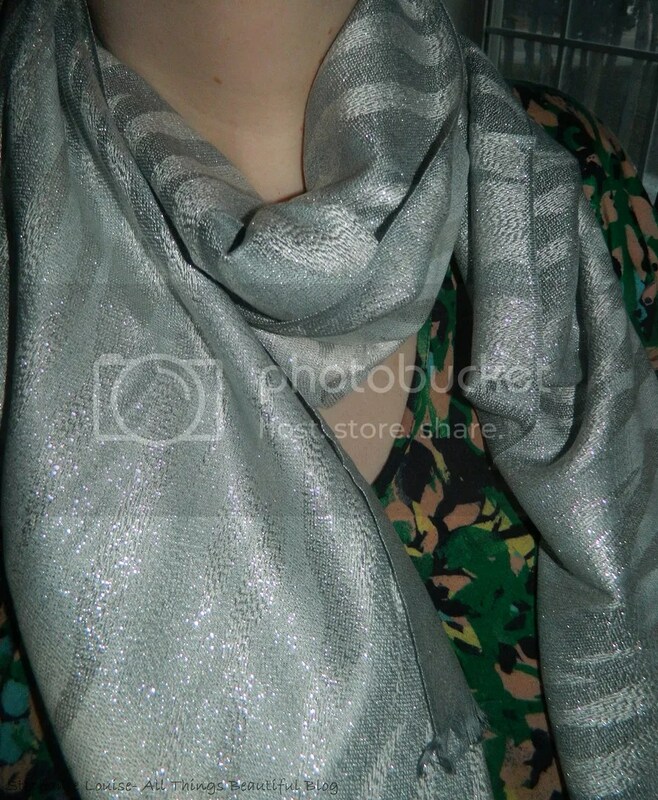 #1 A festive scarf (like this beautiful option from FRAAS) is the perfect gift for a woman in your life. Think of the pattern, shade, & make sure to wrap it in fun but protective paper. I like silver because it says “winter” & not necessarily specifically Christmas plus the print on this one is just really fun. I always make sure to have one ready in case an unexpected gift from a coworker, friend, or family member comes along. You can find FRAAS scarves available at online retailers such as Amazon & the FRAAS website as well as ASOS & Bloomingdales. #2 Something for a child or the young at heart. I love these throwback Pac Man toys (they even make the classic sounds!) that I can gift to just about anyone. The best part about having a kid-friently toy is that children tend to show up in the office more this time of year & you’ll have something fun for them to play with. 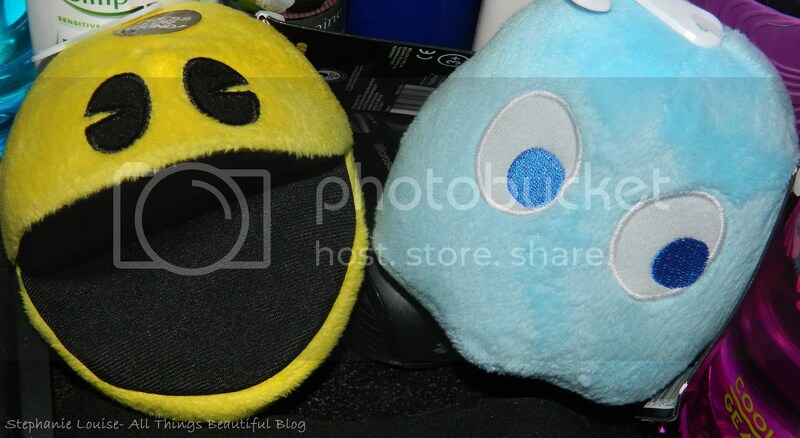 You can purchase these Pac Man toys for $12.99 each, available at Toys “R” Us and Walgreens for the holidays. 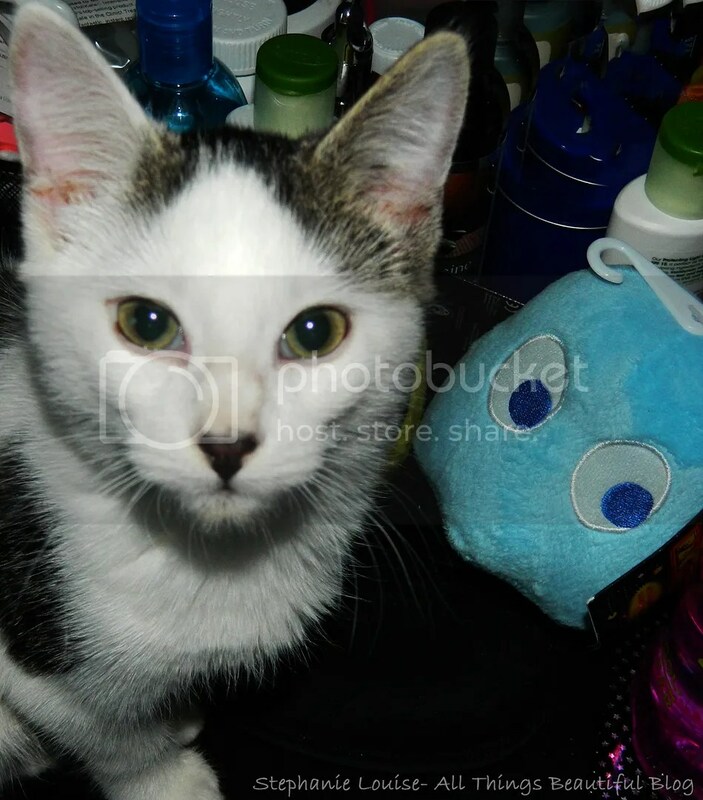 Sawyer is obsessed with these, the littlest of our animal bunch just loves that they make noise & was constantly trying to steal them off my desk! #3 I absolutely love when new moms/dads start venturing into the “real world” again but I don’t always know what to get them. They’ve already had their baby shower but they still have baby on the brain. 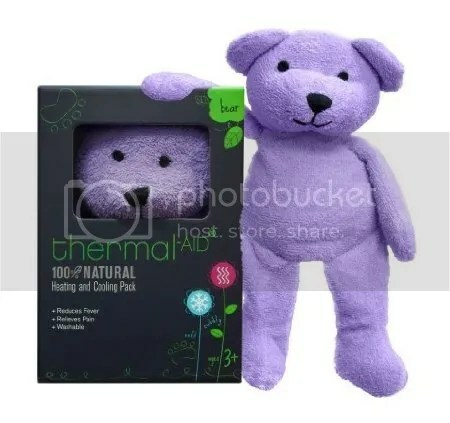 I love giving them something pampering that is still kid friendly, like this heating/cooling pad disguised as an adorable bear & 100% natural. Even if a newborn spits up on it you can wash it, plus baby can use it too. You can purchase my favorite Thermal-Aid Heating/Cooling bear from Amazon. #4 If you have a friend who loves to be pampered but has everything (maybe a beauty blogger or makeup artist?) consider these awesome Glove Treat options. These will be up in a full review soon but basically they are reusable paraffin wax treatments available for both hands & feet. They are super relaxing & effective at reliving dry hands. You can purchase these here. #5 You’re going to think I’m crazy but you won’t believe how many people have loved this as a gift! 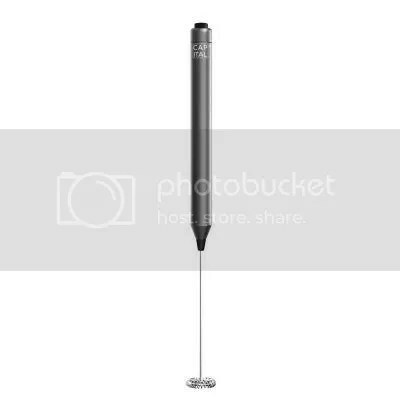 This is a handheld milk frother that works off batteries. You’ll love this as a gift to teenagers (coffee is so in), college students (fancy coffee is so expensive! ), & even newlyweds. You can buy my favorite model here, I picked it up at Kohls & it works great. 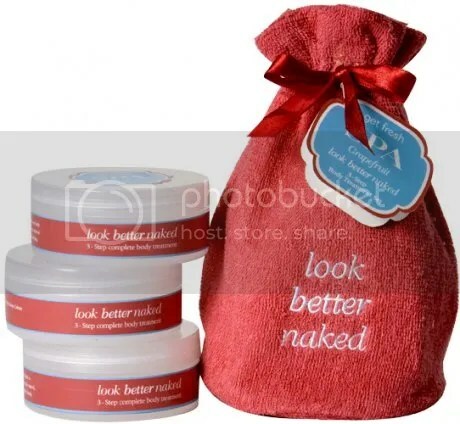 #6 Another item I’ll have a review on soon is this awesome set from Get Fresh! The grapefruit scent is intoxicating while still being rather neutral & the packaging is absolutely adorable. This trio includes the Get Fresh Spa Grapefruit Mineral Body Mask, Body Scrub, & Rich Body Creme. Also, close to me heart, they donate a portion of their proceeds to Military charities that help Wounded Warriors transition successfully back into civilian life. You can purchase this set & other Get Fresh products here. #7 Woodwick Candles are currently my favorite brand of easily accessible candles. Why? Because they actually contain a piece of wood as the wick & crackle as they burn, simulating a real fire. This is the perfect gift for a romantic, candle lover, or someone who hasn’t got access to an actual fire like us. Our favorite lately is the standard Fireside…which smells like a crackling fire. Yes, we’re simple folk. 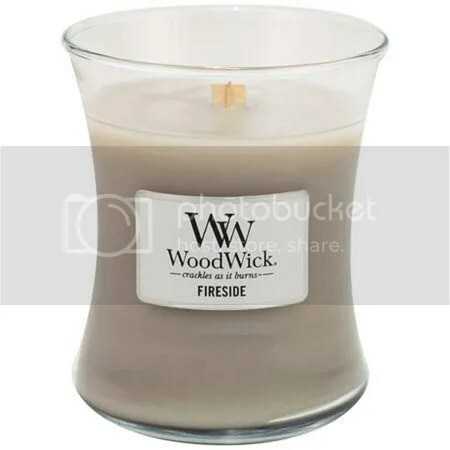 You can purchase Woodwick candles here from Kohls, JC Pennys, & even ULTA. #8 Name A Star. Yeah it might sound a little hokey but it really is an awesome gift. This is what I got my husband for our first anniversary (paper!) but it makes a really unique gift for grandparents, young kids just getting into astrology, & even educators. You can pick your star then name it whatever you like. 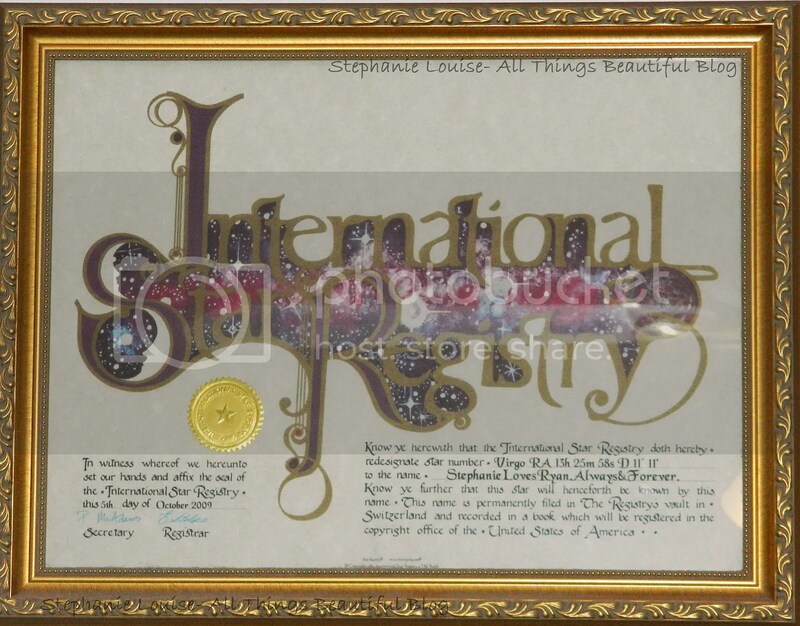 We have both the gorgeous certificate (which has a lovely galaxy print!) & the location map hung up in frames. You can name & purchase your own star here. #9 One of my favorite gifts to give or receive- the Pinch Provisions Minimergency kit. I reviewed this not just for myself but also the adorable men’s version. Currently Sephora has a silver version with 17 essentials for any emergency ranging from double-sided tape to hairspray to clear nail polish. Seriously, this thing is the best gift ever & you can give it to pretty much anyone 13 & up. You can check out the newest version on the Sephora website here. #10 Last but certainly not least is creating your own coupon book for someone you honestly can’t come up with a gift for. My husband is extremely hard to buy for so this is for him but it could be for anyone because they have a ton of options ranging from parents to children or spouses like mine. 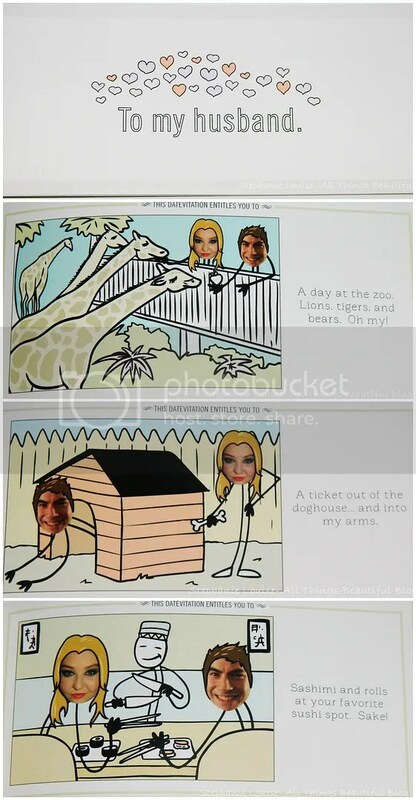 I chose to put our faces on ours because they’re HILARIOUS & I love them. My husband actually cracked up, it is just an overall awesome gift. I chose the cover, inside message, our photos (including the stylish hairstyles! ), & all of the coupons myself…which was hard because the options are nearly endless with over 500 date ideas! You can create your own coupon book on the Datevitation site here! Books normally start at just $25 so it makes for a thoughtful yet economical gift. But as a special treat for my followers, you can use the code ‘BEAUTIFUL10’ for $10 off your purchase plus free shipping (total value of $13.50) That means you can get your loved one a one-of-a-kind gift for Christmas starting at just $15! The order cut-off date for guaranteed delivery by Christmas is December 13 so make sure to get your order in before then! Want to win your very own love coupon booklet like mine or one especially for a child in your life? Datevitation has graciously offered one of my readers a free book to create themselves! Just enter via the Rafflecopter widget below! Datevitation is a family business run by the husband-wife team of Alex and Olga Karpman. You can get to know them on the Datevitation blog, where they offer video guides to date ideas and romantic gestures. You can even watch Alex propose to Olga in a video they posted on Youtube as a Save The Date, and now has over 1.5 million views (you can view the video here)! They will contact the winner directly, good luck everyone! Amazing Gifting Ideas from Get Fresh, Spa Products that Give Back! OPI Holiday Manicure with Mariah Carey Holiday 2013 7 Random Must Have Beauty Tools! My Totally Random & Fun Easy Halloween Nail Art!